Looking for that perfect-for-any-day finishing spray that gives you just the right amount of hold? The kind that still allows you to play, fiddle, and tweak your style after you’ve spritzed on a layer or two? One that even throws in some heat protection, so you can bypass breakage? 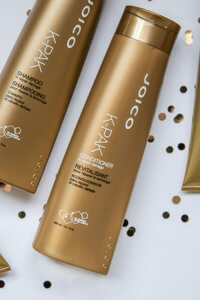 With our K-PAK Protective Hairspray, you’re there. I have had trouble finding a spray that not only makes my hair look good, but one that I can stand the smell and does not make my eyes tier and itch. This is the one. Smells mild, and my hair looks wonderful. Directions: Mist generously onto hair for dependable, flexible hold… or try it in tandem with your flat iron to protect each section against thermal damage. 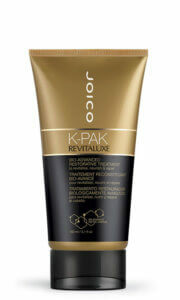 Packed with powerful proteins to provide maximum protection and reconstruction for each hair strand. 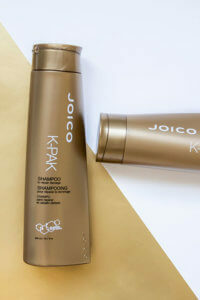 Combined with antioxidants, help moisturize hair and provide extra nourishment. I bought this and the conditioner after I came out of the hairdresser crying. She damaged my hair with ugly highlights, my hair is totally fried at the ends I don’t want to even touch it. I was wondering how the hell am I going to be able to blow dry my hair it will just burn in my hands. I washed and left the K-PAK conditioner for a long time in my hair then applied some leave in conditioner and sprayed the K-Pak before blow drying each bit of my hair. I was actually able to make my hair look beautiful I am impressed with this product. Some parts were so damaged there was nothing to do but at least I was able to blow dry without losing my hair. The product helped the brushing through very dry damaged coarse hair and after blow-drying it was shiny and looked healthy. I am guessing this product leaves a film on the hair to protect it and gives it a shine and smoothness. I am very happy with it, I will use it always before blow drying. Thank you. I picked this up at my job for only $8 and it works perfectly, especially for people with natural hair I highly recommend this product.